Harry Ballance is truly one of the nicest people that I have ever met. He’s one of those unique individuals who always has a smile on his face and seems to know everyone. I had the pleaseure of talking to Harry the other day, as he speaks fluent cat. Aviation must run in Harry’s blood, as his father began flying in 1928 at Candler Field, where he soloed a Fleet. As the Southern Division Manager of 20th Century Fox Film Company in Atlanta, Harry’s father used his aircraft for business travel, but flying was mainly a hobby for him. He owned several airplanes including a SR5 Stinson. After WWII, Harry’s father gave up flying, as he had two small children and it was rather expensive to fly. Harry is a native of Atlanta, a rare species these days. His passion for airplanes began as a child, building model airplanes and reading books on flying. While attending college at Washington and Lee University in Lexington, Virginia where he majored in Chemistry, Harry learned to fly. After college, he was commissioned in the Army as a 2nd Lieutenant. Following his army days, Harry was a civilian for only two days before Delta Airlines hired him as a pilot, where he was employed for 35 years. Currently Harry is retired form Delta and is a corporate pilot for Pro Care RX. He has four grown children and two grandchildren. 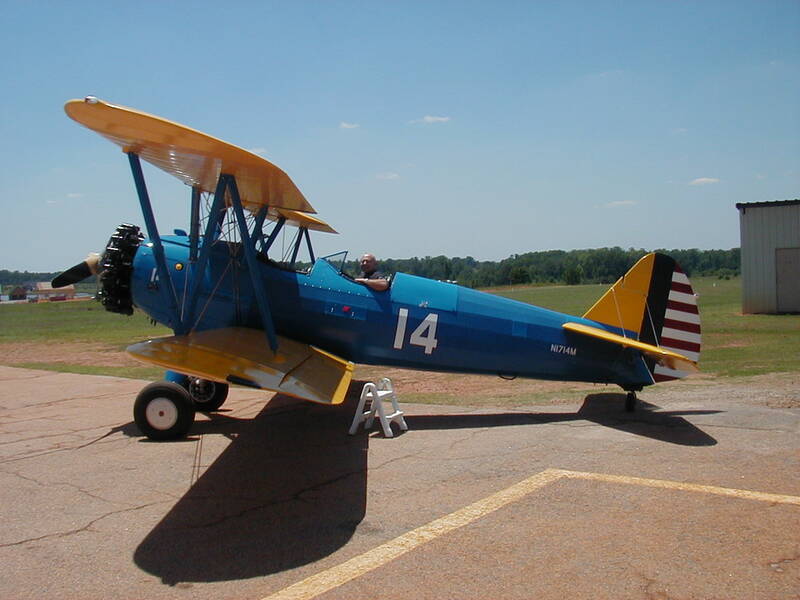 He resides in Atlanta with his wife Carol, and is building a 2nd home and hanger here at Peachstate Aerodrome. 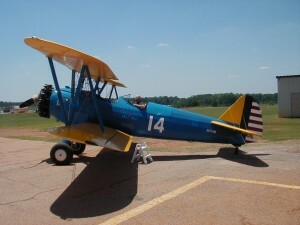 Harry owns a J-3 cub, a Stearman (restored by Barnstormer’s Workshop), and recently purchased the same 1934 SR5 that his father owned many years ago. Barnstormer’s Workshop is currently restoring the Stinson for Harry. Harry believes that in order to be a truly good pilot, you must have a passion for it. It’s evident that Harry still has that passion. We are so fortunate that he does, and that he shares his enthusiasm with us.